Muscle spasms can present themselves at any time, making them not only painful, but also a nuisance when they occur at inconvenient moments. They are a considerably common affliction, while this is unfortunate, does also mean that there is a wealth of information out there about the potential causes behind muscle spasms, and how to avoid or relieve them. Read on to find out more about this exasperating condition. It can be confusing to differentiate between a muscle spasm and a muscle cramp, but generally speaking, a spasm refers to when a muscle contracts and relaxes quickly and involuntarily, whereas a cramp describes a muscle which contracts and then does not relax for an extended period. A spasm can be likened to spontaneous and uncontrolled twitching, and may affect small areas such as the eyelids or nose. More severe spasms can be painful, often affecting the back or lower legs. Muscle spasms can occur as a result of many factors, some of which can be avoided, but others can sadly only be relieved. It is the primary cause of muscle spasms in women, both estrogen and progesterone play a part in causing it. Unfortunately, hormonal imbalance may lead to chronic conditions, including pain. Women needs to empower themselves with the knowledge necessary to recognize the signs of hormones. One of the most common reasons behind muscle spasms is stress. When we feel anxious, tired, or angry, these emotions sometimes manifest themselves in visual ways. This can be a small twitch, or a strong spasm often localized to the lower back or shoulders. While many women experience the occasional muscle spasm. If they are regular, it might be a consequence of a disorder known as dystonia. This is to do with a malfunction regarding the area of the brain that influences muscle movement, and can be hereditary, an after-effect of another condition such as a stroke, or it can even materialize for an identifiable reason. Another cause of muscle spasms might be a condition called myoclonus. This sometimes happens in conjunction with dystonia; however, it is far more common and actually effects many of us - the familiar sensation of being jolted before sleep is considered a myoclonic jerk. It is thought that myoclonus is due to an imbalance of chemicals in the brain, which can lead to a mix-up in messages between the brain and nervous system. To instantly ease pain from muscle spasms, it is often recommendable to gently message the particular area. Applying pressure and rubbing the muscles will encourage blood flow, and relax the muscle tissue thereby relieving spasms. There are alternative therapies, called natural remedies that might treat muscle spasms by balancing hormones. Vitamins and herbs that stimulate natural hormonal productions are ideal to treat muscle spasms. This is particularly advisable if your muscle spasms generally reoccur in the same area. Working with a therapist to develop techniques and gentle exercises that are successful for you can be hugely rewarding for providing relief from muscle spasms. A solution known as botulinum toxin can be injected into the required muscles. This blocks the relevant neurotransmitters from the muscle; therefore, stopping it from spasming. The effects of this injection generally last for up to three months. For dystonia and myoclonus a doctor may prescribe medication designed to slow down the central nervous system, and in effect tranquilize. Alternatively muscle relaxant drugs can provide relief and limit the frequency of muscle spasms. 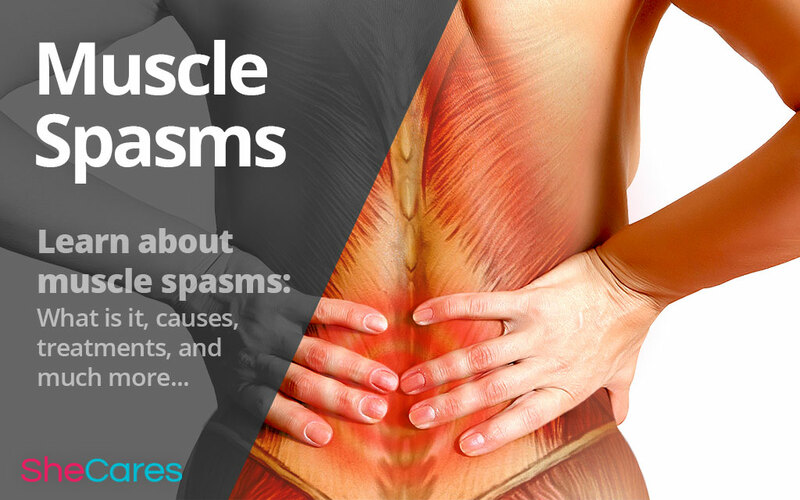 Muscle spasms can vary from mild and barely noticeable, to far more severe and even painful. Depending on your personal experiences, you may not feel the need to treat your spasms; however, for those who find that their daily lives are being affected, it might be desirable to explore some different treatments. It is suggested that you talk to your doctor in order to obtain further information about your options.